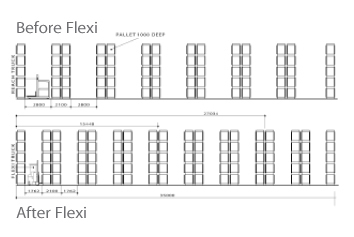 Compared to a conventional reach truck, Flexi enables you to store around 30% more pallets simply by eliminating the extra space a reach truck requires to turn into the racking. 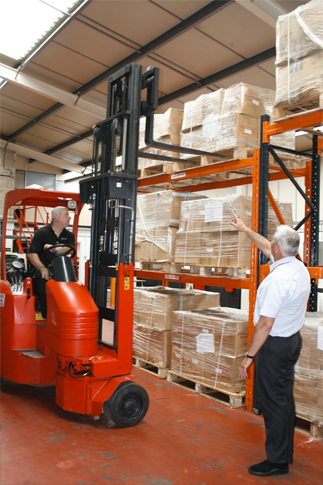 The Flexi Forklift Truck has been designed for easy safe driving in warehouse aisles, the patented “True Radius” chassis and HiVIS lift mast and overhead guard make the operators job very easy. 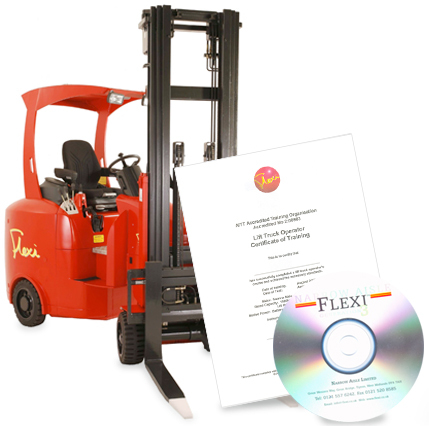 Any experienced Forklift or Reach Truck operator can be retrained in as little as one day to operate the Flexi safely and efficiently. Courses combine theoretical and practical skills and incorporate the operator’s safety code operating practices, daily inspection procedures and elementary driving practice. Our nationwide team of Flexi articulated fork lift truck trainers can offer courses conducted on your own premises to ensure that all site conditions and operational procedures are taken into account during the programme. Alternatively, courses can be conducted at our national training facility. Each course finishes with an assessment which includes both a written and practical test. On completing a course successfully, the operator will be fully certified able to drive any make of articulated truck in your fleet. To dicuss your training needs, please contact us on 0121 557 3674 or email us at enquiries@flexi-training.com . Copyright 2013 Flexi Training Co. All rights reserved.